Sleeps 13. 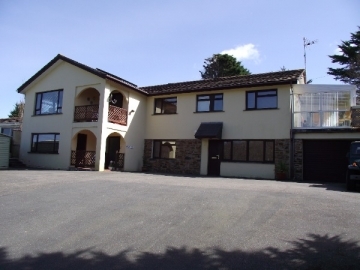 Westmount Haven is a 5 bedroom, 5 bathroom, luxury, holiday house situated in beautiful, green countryside just outside Perranporth in Perrancoombe, Cornwall. 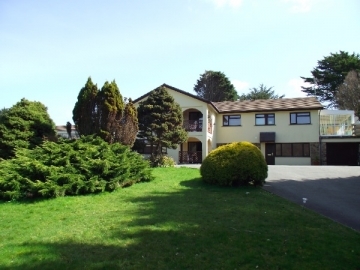 Westmount Haven Holiday House is a split level property - with the living accommodation and 4 bedrooms/bathrooms being on the first floor. This gives excellent views of the countryside - you can see foxes playing in the distant fields, horses grazing - a very scenic/picturesque location. On the first floor, there is a fabulous fitted kitchen, well equipped utility room, dining room opening to large sitting room, 4 bedrooms, 3 en-suites, 2 conservatories, balcony and on the ground floor is a self contained annexe with bedroom, kitchen, lounge, shower room - perfect for an extended family group. Set in a 3/4 acre, well established garden with Games Room. Parking. Dogs welcome. The property is great for holidays:- family holidays/celebrations; surfing breaks; weekend breaks, beach holidays, Christmas and New Year.